Running isn’t a hobby, it’s a way of life. Runners run to be the best they can be, to challenge who they are, to inspire others and to champion their cause. From the woman who ran for three and a half days without sleep, to the 61-year-old man who broke records in an 875-km ultramarathon, this collection of unforgettable stories will inspire anyone who’s ever pounded the pavement to keep on running and enjoy every minute of this liberating sport. Phil Hewitt is group arts editor for Sussex Group Newspapers. His books include Chichester Remembered, Chichester: Then and Now, Gosport: Then and Now and Keep on Running: The Highs and Lows of a Marathon Addict (ISBN: 978 1 84953 236 5). A passion for running and runners shines through this book, a timely reminder that at its essence it is the purest, most simple of sports. 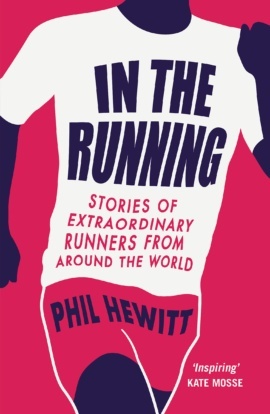 Through its legion of subjects, all hugely accomplished in their different ways, Phil Hewitt engagingly captures running's soul. Lisa Jackson, author of Your Pace or Mine?